On her first night as an EMT, Lauren, an ex-addict trying to atone for her brother’s death, is partnered with Eddie, a jaded cynic, exiled to the graveyard shift. When trying to contact dispatch, they realize that their radio and cell phones aren’t working and they’re on their own. Once in the ambulance, Armstrong begins to exhibit strange behavior and becomes violent. Before they can get him out of the vehicle, a fanatical assassin violently attacks them. The soldier is hunting Armstrong and wants to kill anyone who comes in contact with him. 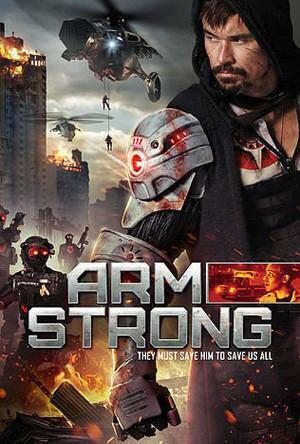 Before he can finish off the EMTs, Armstrong saves them and defeats the soldier. It is revealed that Armstrong is a high-tech vigilante on a key mission: to stop a murderous doomsday cult, The Fifth Sun, from detonating a series of nuclear devices underneath Los Angeles to cause catastrophic earthquakes. To complete his mission, Armstrong needs their help. Next story Disturbing Behavior (1998) | In Cradle Bay It Doesn’t Matter If You’re Perfect. You Will Be.